Years: 1943, 1955, 1967, 1979, 1991, 2003. Idealistic, yin earth, not the top getter-onner, the Sheep has well-meant judgements about everybody which can sometimes keep her stuck in first gear. For the unbalanced Sheep (July birthday and/or Mid-afternoon birth) ambition and foolishness are pretty much the same thing. On the other side of the fence the grass is not greener; it’s actually brown both sides. The balanced Sheep though, as well as being an expert judge of people, knows exactly what matters and is not easily diverted from it. The arrangement for instance that Sheep Bruce Willis, his ex Demi Moore and her ex (and Bruce’s fishing buddy) Ashton Kutcher came to, whereby they stayed friends and the children avoided becoming conflicted is not usual, either in Hollywood or the world at large but it is typical Sheep behaviour. Conversely, the value of caution and conservatism is often clear in Sheep relationships. The most obvious of these is with the extrovert spontaneous Horse whose sidekick the Sheep often ends up being. With the Sheep beside him, the Horse’s fun may be a little less riotous but he will also stay out of serious trouble. The young Horse and Sheep of 1978 and 1979 for instance, are often a tag team who go out drinking and clubbing together. The Sheep may stand back in amazement at the daring of the Horse but is there both to pick up the pieces and to take advantage when these risks bear fruit. The Horse dances on tables, the Sheep ensures a soft landing. This of course illustrates a psychological truth about the Sheep: the risk-taking they shy away from is exactly what attracts them most. Many a desirable partner has on the rebound from a Horse, found a life-long proposition in the Sheep. Placed as the Sheep is between the Horse and the Monkey in the Chinese Zodiac, they also understand the trickiness of the Monkey. There is generally a certain wariness between them but this unorthodox team is capable of magic. The Sheep also forms a natural affiliation with the Pig and the Rabbit; a very domestic alliance. The Chinese ideograph for home is a Pig under a roof and the average Rabbit would happily stay home 24/7 if allowed to. The Rabbit is the diplomat and mixer while the Pig who is inherently versatile takes up the slack of whatever jobs there are to perform. The Sheep makes things safe. She will have ensured for instance that there are no mutually sworn enemies on the guest list. The typical Sheep is an ideal social secretary as well as a master resolver of conflict. Psycho-therapy is among appropriate career paths. The Sheep is passionate, representing the yin or feminine side of sexuality but whether male or female, the Sheep is more seducer than chatter up. Perhaps most interestingly, the Sheep forms a team with the Dog, the Dragon and the Ox. Individually each of these three is somewhat intimidating to her but when this group gathers, her value becomes obviously. She can draw flexibility from the Dog, humility from the Dragon and cheerful co-operation from the autocratic Ox. Above all he ensures peace among them. Even if all they do is make the coffee, the Sheep is a comforter of the insecure. She understands that most barkers never bite and that aggression is simply inverted fear. For the Sheep, 2018 was the breakup year; losing friendships, changing jobs, moving house or literally breaking up. Sheep who went with the flow took control by choosing what the changes would be, still October made you consider that your efforts were in vain. You know all the clash was meant to remove the obstacles that were holding you back, right? In 2018 you had a hard time finding your people. A Sheep’s worst nightmare is being culled from the herd. Kurt Cobain, a 1967 Fire Sheep, lost his way when his relationship with Courtney Love separated him from his friends. Interestingly, Courtney’s got a Sheep in the day branch, right where Kurt would be. In 2019 you’re safe again and back in the swim of things. It’s time to form new alliances and renew old ones with eyes having been opened wide by the Dog. The Sheep’s ability to maintain innocence is a gift, but she uses it as a way of checking out. Sometimes facing the ugly truth is required for the Sheep’s personal growth. 2019 is your year for healing, even physical rehabilitation. Form new groups. Along with the Rabbit, you coined the term “grassroots movement”. 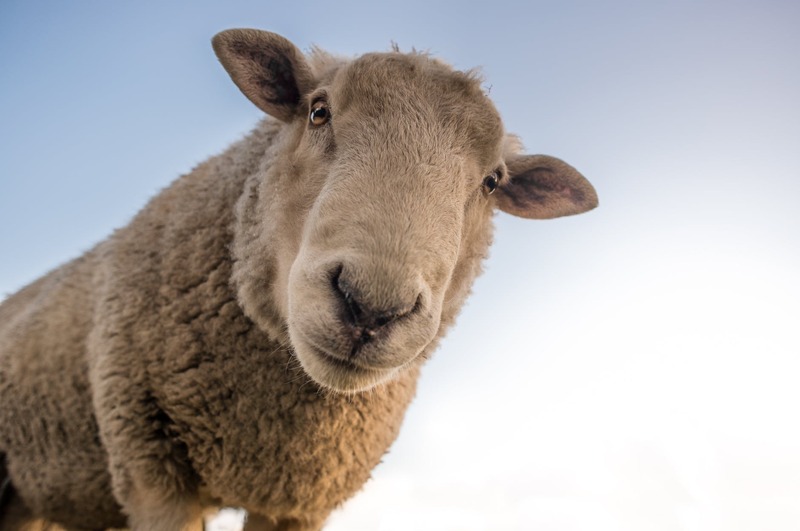 Like 1995 Wood Sheep Bill Gates and Steve Jobs, you lead by mobilizing groups of people; helping them to unite their small efforts for a bigger cause. Someone who is more comfortable working alone more than you are will probably take credit for your efforts. Pay no mind to that. People see what you’re doing. You are the most inclusive of the Chinese Zodiac animals. A Sheep I know and love has said many times: There’s always room for another pal. I think that was the original intention of organized religion but it got lost along the way. Political and financial concerns generated policies that exclude people based on race, gender or sexual preference. Your spirit, in union with the Pig, can rectify this. The Sheep can organize and unite different groups, bringing spirituality to bear in healing our planet. In 2019 you are the Tin Yute. The world needs you to reclaim the power of the people. In the first quarter of the year, expect to be overemployed. After all that time on the bench, now everybody wants you. This is what you’ve been waiting for. Welcome new neighbors; organize shelter and provision. Provide hospitality for newcomers and friends. March and July strengthen you by bringing teammates who share your mission. In April, someone in a position of power gives you a leg up because of your efforts. Your most comfortable months will be May-July. The Metal and Water energies of fall and winter make it easy for your work to bring in the money. Update your belief system because your clash animal, the Ox, is coming into power. The causes you think are merely personal are the ones you’ll need to back in a more public, political way if you really want change. Look for what you have in common with others. The door is open now.